On December 30, 1854, Lunsford Richardson, inventor of Vicks VapoRub, was born in Johnston County. After graduating from Davidson College with a degree in Latin in 1875, Richardson began to work with his brother-in-law, Dr. Joshua Vick, at Vick’s drug-manufacturing company in Selma. There he used his Latin skills to learn the names of chemicals used as drugs and become a pharmacist. In 1890, Richardson moved to his wife’s hometown of Greensboro, where he bought W.C. Porter’s drug store with a partner. The drug store was largely unremarkable, except for the fact that famous writer O. Henry worked there as a teenager. While running the pharmacy in Greensboro, Richardson continued to work on developing new remedies with the Vick’s company. He went on to patent 21 medicines, including Vick’s Magic Croup Salve in 1894. 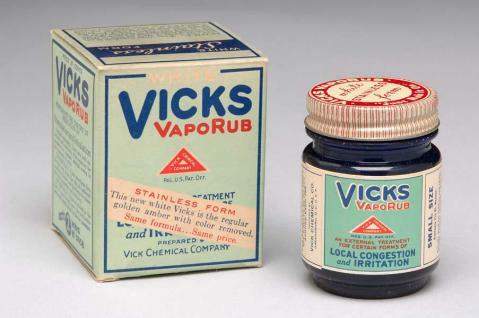 Renamed Vicks VapoRub in 1911, the remedy is still sold today. The salve in the blue jar is made of menthol, camphor, oil of eucalyptus and several other oils, blended in a base of petroleum jelly. 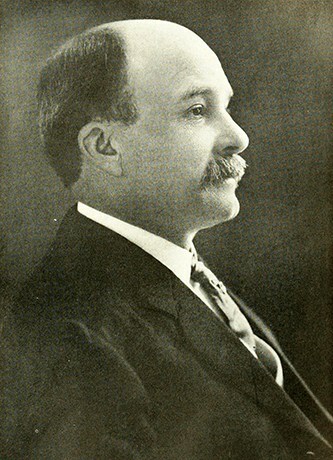 A trustee of the Palmer Memorial Institute in Sedalia and a champion of race relations, Richardson died in 1919, the victim of an outbreak of Spanish flu that widely increased the demand for his product.